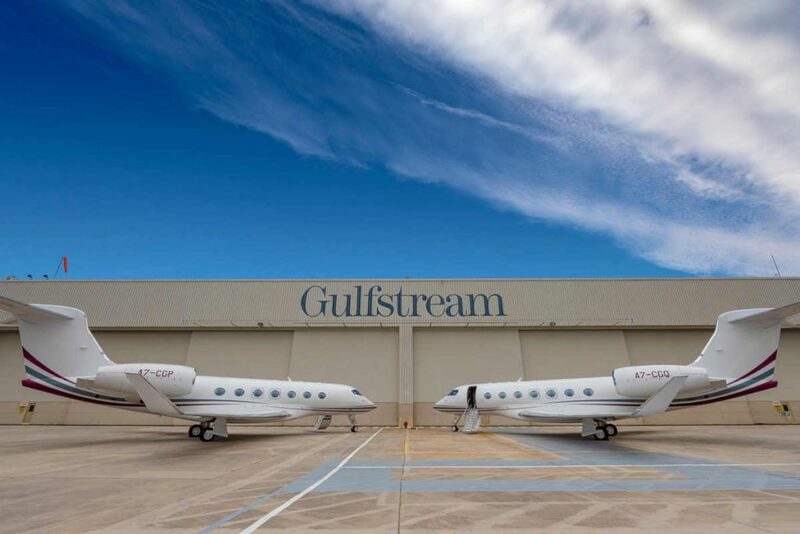 Gulfstream Aerospace made the first international deliveries of its clean-sheet Gulfstream G500 to Qatar Airways, receiving two G500 aircraft at Gulfstream’s headquarters in Savannah, Georgia. The aircraft will join five Gulfstream G650ER aircraft already in service with Qatar Executive, the airline’s executive charter business. The all-new G500 earned its U.S. Federal Aviation Administration (FAA) type and production certificates in July 2018 and entered service in September of last year. The Qatar Civil Aviation Authority validated the U.S. type certificate in October. As part of a tour to introduce the world to the aircraft and its new Symmetry Flight Deck, the G500, as it was completing FAA certification, flew nearly 130,000 nautical miles (240,760 kilometers) and set 22 city-pair speed records, according to Gulfstream. This was done in addition to the test flights required for G500’s certification. In total, Gulfstream explains the G500 has achieved nearly 30 city-pair speed records. Within the 2014 agreement to become the international launch customer for the G500, Qatar Airways established an order for up to 30 Gulfstream aircraft, a combination of firm deliveries and options that include the flagship G650ER, the G500 and its sister ship, the Gulfstream G600.